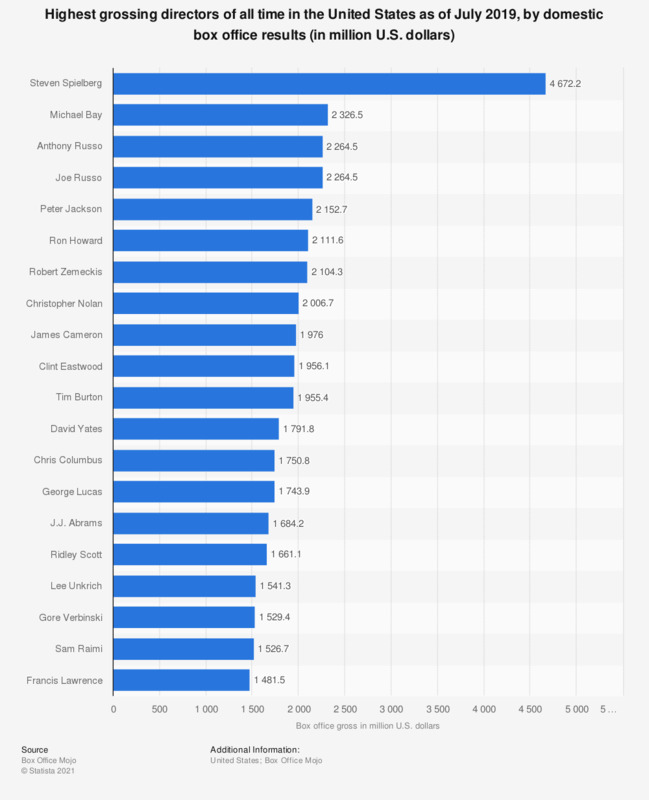 This statistic shows the highest-grossing directors of all time, as of March 2019, ranked by their domestic box office results. Topping the list is Steven Spielberg, whose films have generated total gross revenue of over 4.67 billion U.S. dollars in the domestic box office. His biggest hit was the 1982 film E.T., which made over 435 million U.S. dollars domestically and almost 793 million U.S. dollars worldwide.